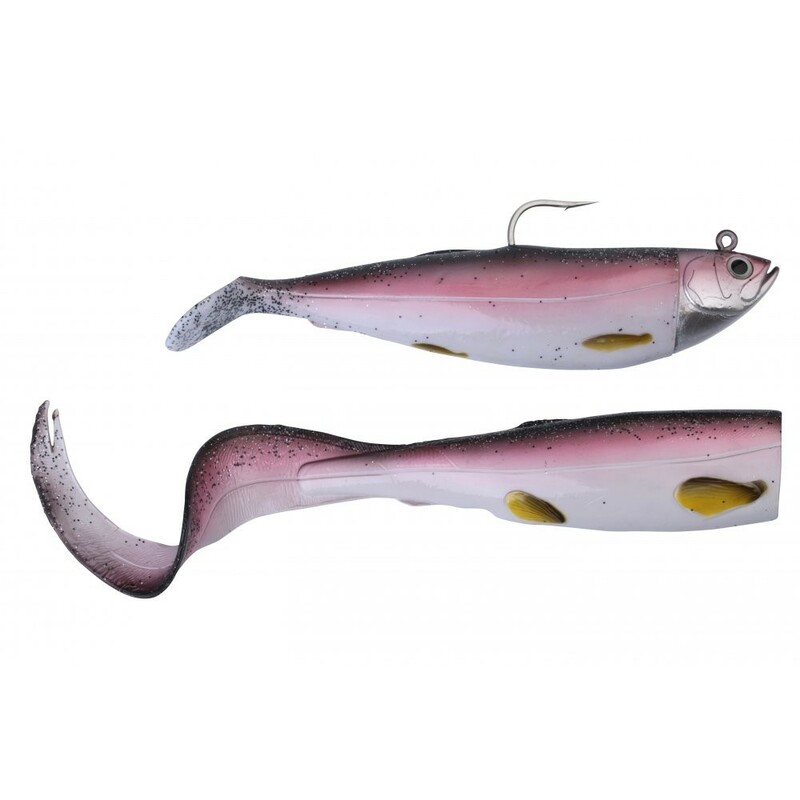 Savage Gear Cutbait Herring Kit can be fished at very slow speed and the Paddle tail is superb for fast current and more active presentation. Savage Gear Cutbait Herring Kit is a combo pack. The ever popular Cutbait Herring upgraded with a super Curl tail body, imitating a baby wolfish or burbot – giving the choice of the superb rocking paddle tail or the eely flashing curl tail! Savage Gear Cutbait Herring Kit can be fished at very slow speed and the Paddle tail is superb for fast current and more active presentation. FREE Delivery on all Savage Gear Lures for sea fishing over £100!! !